Why not? The simple answer is the NRC’s authority in such cases has limits set by Congress. NRC’s employee protection regulations implement Section 211 of the Energy Reorganization Act of 1975. This act prohibits NRC licensees, contractors, and applicants from discriminating or retaliating against employees for, among other things, engaging in protected activities that include raising a nuclear safety concern. The NRC can – and does — investigate alleged discrimination and retaliation against the individual for raising the concern, as well as any impact that concern may have on nuclear safety or security. The Department of Labor (DOL), on the other hand, has the legal authority to grant personal remedies to these individuals if the allegation is substantiated. So, in a sense, there is a two-track process for these types of allegations. The NRC is one track; DOL is the other. For more information about the NRC’s allegation process visit our website. The Department of Energy, as a separate entity from the U.S. Nuclear Regulatory Commission, would, presumably, have a whistleblower program of their own. Questions about it should be directed to DOE. 3 replies and that is it? The last one in 2012? “SRS Worker’s Firing Part of Critical Report” The Augusta Chronicle, Friday July 15, 2016, Business section. Does DOE have a separate Whistleblower program? If so why? Do they have a two track system? I predict that the NRC is going to be much busier than normal with whistle blowers, (some of which were even injured at San Onofre), since the NRC is now coming to Dana Point to talk about what has been going for on years at San Onofre and the 1.2 billion dollar debacle that SCE is now involved in, because they did not fully disclose all their specific design changes that they made to their Replacement Steam Generators (RSG’s) to the NRC, (as required by Law), that starting FAILING almost immediately. In fact, Southern California is VERY lucky that they did not have already have a Fukushima-type meltdown considering that 8 tubes failed during testing! As a point of reference, just ONE steam generator tube failed and caused a IAEA level 3 disaster in Japan at Mihama nuclear reactor in 1991… See http://is.gd/feYSBl and that reactor has never been restarted! A disaster at San Onofre could easily have been EIGHT times worse or MORE! Salute, Great Comment and one that the NRC Oversight Board in Congress should act on! Hello Senator Boxer, are any of your Staff following these posts, if not WHY? Having two different agencies involved in one specific action is just plain silly. One doesn’t need any background in labor legalities or discrimination or management to identify an inefficient use of time and people. This is the type of practice that leads to stereotypes about the public sector being too costly. How are conflicts of interest, or even the appearance of, avoided when investigations are done within the NRC? 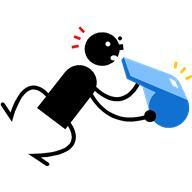 How important is technical expertise to whistleblowing cases? It seems the more important of the answers would guide a decision on where to consolidate, if that was decided. Is the same true for other types of whistleblowing cases? For example, would a banking whistleblower also two-track between the OCC and DOL? Presumably Congress would need to pass legislation to combine functions, correct?